As a hot tub enthusiast, you’re likely interested to learn about new features and components that can improve your spa experience. But what about your hot tub cover? Did you know that it can actually save you time and money? Here are three ways the right cover can maximize your investment. Reduce Operating Costs – With a tight fitting, insulated cover, hot tub heat stays put, making it easier and more efficient to bring the temperature of your spa up to a comfortable level the next time around. And, of course, less energy required for heating means you save money. 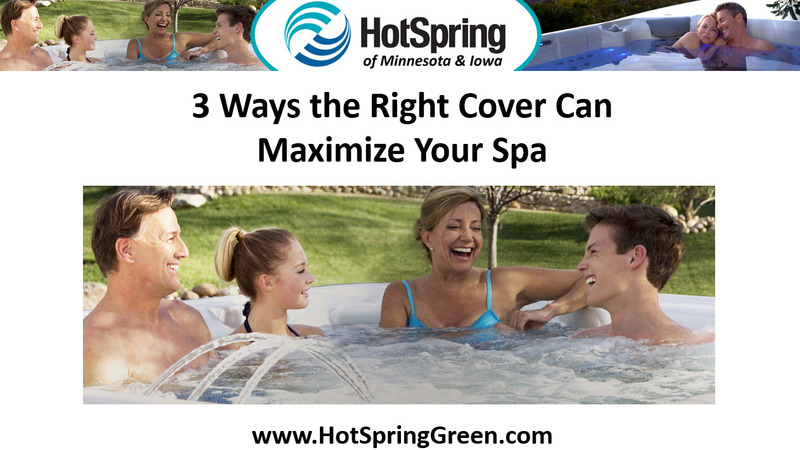 Keep Clean Water Longer – A quality cover that fits snug on your hot tub shell keeps dirt, debris and other contaminants out of your spa, for clean water longer. The longer your water stays healthy and clean, the less chemicals you need and the longer you can go without having to drain and refill your tub. Safety and Peace of Mind – Upgrading an old worn cover is a practical way to ensure value from your purchase, but it can also provide peace of mind. Many new spa covers have updated locking features for safety, as well as high-grade vinyl for strength and protection from the sun.